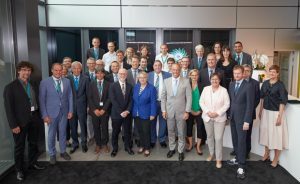 The German state and federal governments have agreed on funding for a high-resolution microscopy centre at EMBL in Heidelberg. 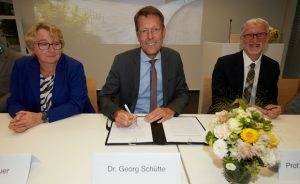 The letter of intent was signed today during an official ceremony at EMBL’s Heidelberg campus, by representatives of the German government together with industry and foundation partners. The new centre for light and electron microscopy will be a unique service facility for the life sciences and unite cutting-edge equipment, experts and data analysis. This imaging technology centre will be open to visiting scientists from all over the world as well as industry partners. It will make new technologies at EMBL available to foster a better understanding of the molecular basis of life and disease. The Imaging Technology Centre will provide access to the latest technologies for scientists at EMBL as well as for up to 300 visiting scientists annually, well before they become commercially available. To facilitate this EMBL is cooperating with leading microscopy companies. Thermo Fisher Scientific, Leica and ZEISS will contribute a total sum of ten million Euros to the project. 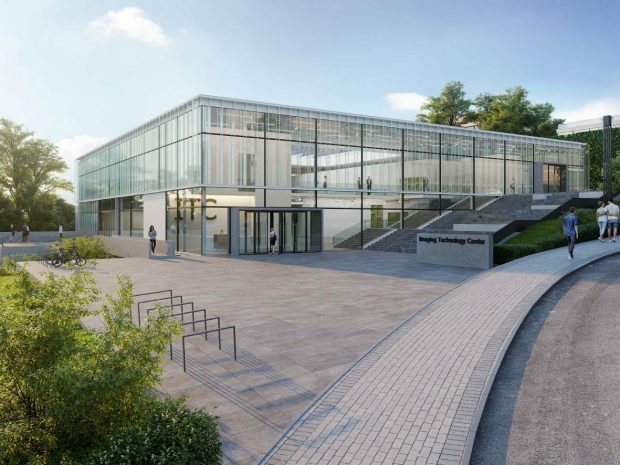 To train scientists to work with these high-end technologies, the Boehringer Ingelheim Foundation will donate 5 million Euros towards the operation of the new centre. The new centre will cover a floor area of 4,500 square metres (5,960 square metres of gross floor area) and cost 45 million Euros. HeidelbergCement will provide building materials. Ground-breaking is planned for summer 2018 and the Imaging Technology Centre is due to begin operations in 2021. The centre will unite the best microscopes, experts and analysis techniques under one roof, and also host a permanent exhibition which provides visitors with information about EMBL and the world of microscopy. “With the help of these new technologies we will be able to answer questions which have been puzzling scientists for years, the answers to which will be relevant to all of us,“ said Mattaj.